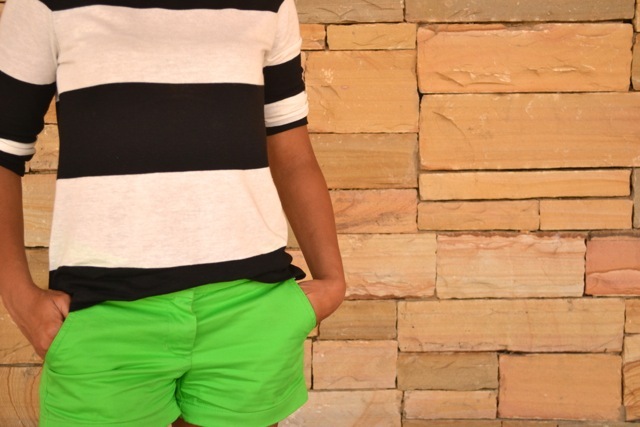 I replaced the wide leg houndstooth pants in this post with these bright green chino shorts for a casual day out. I love how the pop of color separates the neutral mixed prints. I also love a simple, 3-pieces-including-shoes look just as much as I dig multi-layered ones.